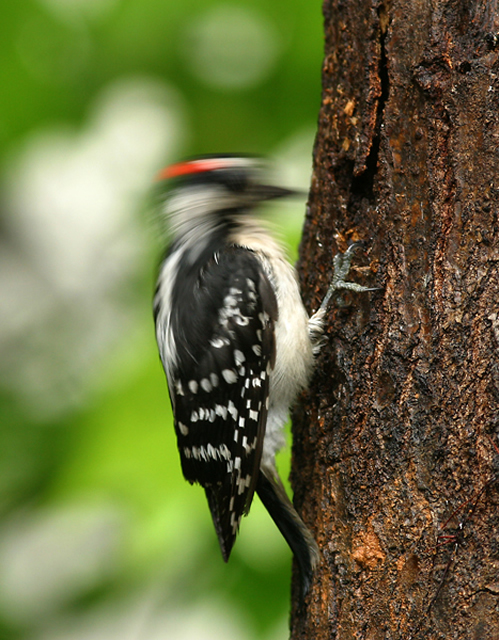 No matter what I do, I just can’t stop the woodpecker noise. I can’t handle it anymore. I’m losing sleep, and I can’t afford to do that. I go to school full-time and I work part-time. Several times a week, I have a two-hour commute to work. I’m exhausted and I need help. Can you get rid of the woodpeckers? I rent this top-floor apartment. It’s not huge, but it’s what I can afford, and I can’t afford to move. My landlord said he can’t (or won’t) take care of the woodpeckers, because they haven’t come inside the building, so he doesn’t have to do anything. I’m desperate, which is why I’m contacting you, so you can get rid of the woodpeckers and I won’t have to put up with woodpecker noise anymore while I try to sleep, or do homework, or just relax at home. There are three or four woodpeckers, and they’re bold suckers. There’s no sign of rotting wood, and the landlord has checked for termites, so I have no idea why they insist on pecking, pecking, pecking on the roof. I’ve tried to scare them away, believe me. I tried just banging on the walls and ramming a broom handle up against the ceiling. At first it scared them away for a little bit, but they always came back. Now, they’re used to it, and I guess they figured out that noise won’t hurt them, so they don’t even fly away when I bang on the walls and ceiling. Then, I tried spraying them with water. That was about as effective as banging on the walls. I put out foil and reflective tape, and they just ignored it, like it wasn’t even there. The most effective thing I did was hang a picture of a big owl out on the deck. They stayed away for about three months after that, but now they’re back. Finally, I tried, I really tried, ignoring them. 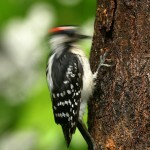 But, that insistent tap tap tap tap tap woodpecker noise wakes me up early in the morning. I don’t even bother studying at home anymore, because the noise drives me nuts and I can’t focus on what I’m reading. I’m worried there are insects crawling around on the inside of the wall that they’re trying to get at. I’m worried they’re making big holes which will let other animals, like mice, get in. If they make holes all over the roof, I worry that someday I’ll wake up with rain falling through the ceiling onto my stuff. I’m sick of worrying. I’m sick to death of the woodpecker noise. I’m desperate enough to consider moving, even though I really can’t afford getting out of my lease right now and finding another place. All I want is the woodpecker noise to stop. Please come and get rid of the woodpeckers, and maybe I’ll stop going insane inside my own apartment. My brother had woodpecker/flicker issues on the side of the bedroom wall in TriCities area, WA. He was able to attach a tin foil pie plate to the outside wall with a fabric strip and then with colorful streamers hanging several feet down from it. It fluttered in the breeze easily and for him was the woodpecker cure. We also have issues in MT but since we have 3 story house and they are at the apex of the house roof, have not found solution yet.